Police throughout the country are often the first people on hand to deal with situations where someone has become acutely mentally unwell. These people can often be presenting in ways which are a danger to themselves, others and particularly the Police themselves. Like other police forces in England and Wales, Devon and Cornwall Police officers are increasingly facing individuals who once they have been arrested resort to ‘spitting’ saliva or blood. Currently the only action officers can take is to hold the individual down, positioning their head away, however this use of force can potentially escalate situations and lead to more trauma during these acute episodes. 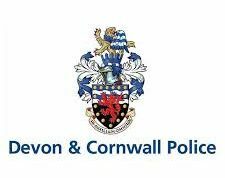 Research has been underway to prevent the use of force and Devon and Cornwall Police are considering adopting the use of ‘spit and bite guards’ in these circumstances. To understand how there use might affect individuals from particular communities or with specific medical conditions, the Force is holding a series of conversations in and with communities, and the force would like to collect the views from #MWF2018 attendees. This feedback will inform the decisions to be made and the contents of the training provided.